Visit a Cruise Job Fair and meet recruiters face-to-face. Our research has shown that attending a Cruise Job Fair is 10 times more effective than applying for jobs online. Job seekers have an excellent opportunity to meet recruiters in person, hand out their CVs, introduce themselves, ask questions and get valuable feedback. Cruise Job Fairs are open for public from 11am to 4pm. You can come and go any time and stay for as long as you wish. You can spend several minutes talking to each recruiter. Be prepared - dress smartly, have several copies of your CV printed out, prepare a brief introduction of yourself and think about questions you want to ask. Prior to each event we will publish a list of all companies attending and positions they are recruiting for. Use that information to plan who you want to speak to on the day. 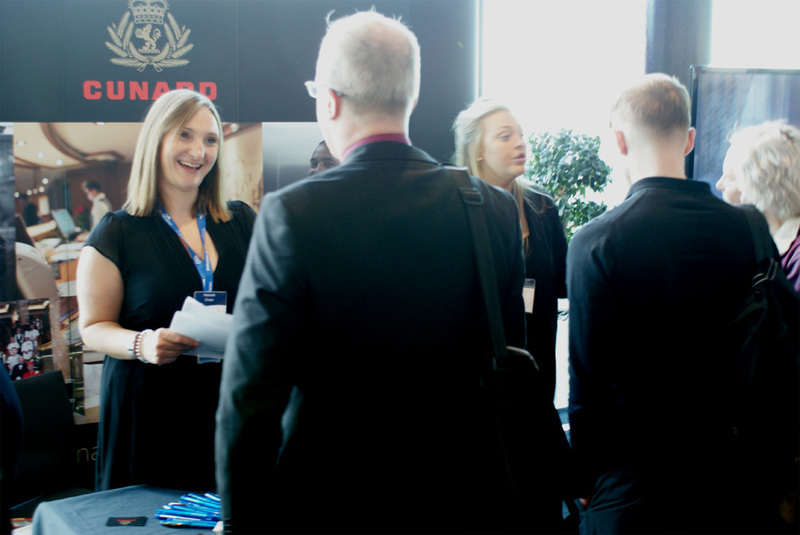 Our job fairs are usually very busy so prepare for waiting in queues to speak to recruiters from the most popular companies. Visit the Gallery to view photos and videos from previous events. They will give ayou a good idea of what to expect. The official sponsor of Cruise Job Fairs is Viking. Visit their career website here. Viking are always looking for experienced and qualified candidates for their river and ocean-going vessels. "I'm just emailing to say thank you as I got a job offer on the day of the cruise fair in Liverpool for a 7 month contract. I never expected this in a million years and wanted to feedback to you that I hope you continue to run them for other people like me." Why should you visit a Cruise Job Fair? Watch the video!